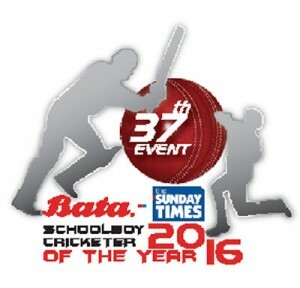 The awards ceremony of the 37th Bata-the Sunday Times Schoolboy Cricketer of the Year 2016, which was scheduled to take place on July 22, has been postponed due to unavoidable circumstances. The event was originally planned for July 22, Friday at the BMICH but according to the latest plans, the event will take place on November 16. The venue will remain unchanged. The organisers of the event had to change the date of the event due to the G.C.E. Advance Level examination and the hectic international tours where some of the young cricketers are part of. The new date was allocated after consulting all parties involved.